Phineas and Ferb is an American animated television comedy series on the Disney Channel. The series follows Phineas Flynn and his English stepbrother Ferb Fletcher on summer vacation. Every day the boys embark on some grand new project, which annoys their controlling sister, Candace, who tries to bust them. More overly creative stepbrothers can come up with during each day to pass the time before school starts in the fall. Of course, in real life, all of them would be impossible to do in one day. But as the master builders they are, Phineas and Ferb are able to bring their grand inventions and structures to life within a few hours, have their fun, and prepare for their next thing to do the next day. In their blended family, Phineas and Ferb are stepbrothers and can come up with the ideas on what to build and do for fun. Phineas' teenage older sister Candace, regards most of what they do as dangerous and unsafe, and in most episodes, tries her best to bust them in their schemes to her mom, Linda Flynn, or occasionally, her stepfather Lawrence Fletcher. However, her efforts are mostly thwarted as the boys' grand structures or inventions miraculously disappear before either parent can see them before arriving home or wherever they're located. 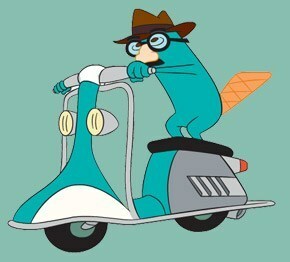 Most times, they disappear as a result of their pet, Perry the Platypus, whom unknown to anyone in the family is a secret agent. To the Flynn-Fletcher family, he's a simple-minded pet, but when he gets the opportunity and nobody is looking, he puts on his little fedora hat, sneaks into his secret lair under the family home via various methods, and gets his assignments from Major Monogram. Perry's nemesis is Dr. Heinz Doofenshmirtz, an evil, but goofy scientist who comes up with various schemes of his own in efforts to rule the tri-state area of Danville, hometown of Phineas, Ferb, and company. Doofenshmirtz's schemes are as outrageous as the boys, as are the reasons he came up with them in the first place. But unlike, Phineas and Ferb, Heinz's efforts are usually unsuccessful as Perry is able to thwart the scientist's, and most times, the boys' and Perry's stories intertwine, leading to not just success for Perry, Phineas and Ferb and Doofenshmirtz's defeat, but Candace being denied the chance to bust her brothers. The cycle then starts again the following day in the summer. Phineas & Ferb Frequently asked questions. 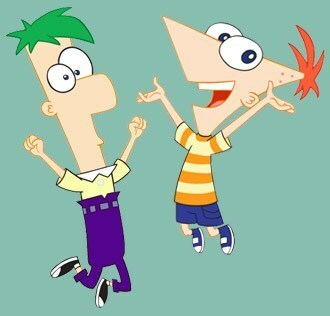 How are Phineas and Ferb related? They are step brothers. Phineas' mother is married to Ferb's father. Candace is Phineas' older sister. What happens when they hit the 104 day mark? The creators have been very clear that this is not set in stone and that Phineas and Ferb will have plenty of time to have as many adventures as they can. Fans shouldn't worry about the show ending after 104 episode segments. Who is Phineas and Candace's biological father? Who is Ferb's biological mother? Despite all the fan speculation, this will likely never be revealed. Just like the nature of the relationships ending (divorce, etc. ), this is a subject that is probably too deep to be answered. It is, after all, a cartoon. Don't think too hard about this. How old are Phineas and Ferb? Creators Dan Povenmire and Swampy Marsh have repeatedly stated that they want to leave their ages ambiguous because kids can identify with them more easily and assign them an age the same as their own. The reason that several websites list their age as "under 15" is that Candace turns 15 in "Candace Loses Her Head" and the boys are younger than she is. However, in the episode "Phineas and Ferb's Quantum Boogaloo," Linda Flynn refers to her now grown son and step-son as "30 years old now." This episode takes place "20 years in the future." In all likelihood, one or both of these numbers are round figures and not meant to be exact. They are most often identified as somewhere between the ages of 9 and 12. Why does Candace want to bust her brothers? Candace believes that if she did the same thing, she'd get in trouble so her brothers should, too. She sometimes finds the things they do pretty awesome and that makes her jealous. In addition, some of the things they do are very dangerous and she loves them and doesn't want to see them get hurt. In some of the episodes, it's implied that Candace shouldn't be so adamant on busting her brothers and just go have some fun. (ref. "Wizard of Odd" and "Ready For the Betty's"
Like the city of Springfield on The Simpsons, Danville is wherever the writers need it to be. There are several real world cities called Danville, but none of them fit the show's needs of being close enough to Mt. Rushmore to drive there in a few hours, yet have a huge port and beach. However Dr. Doofenshmirtz did point to it on a map of the U.S.. Although the map didn't even have state boundaries on it, let alone any finer detail, he points to an area in the mid-west to southwest of the country. However at times it has a major coastal harbor, and other times it sits on a river. However it is not a place that has a real latitude and longitude location and exists where it needs to for that episode because in the roller-coaster episode Danville is closer to the east coast.Adding to the intentional ambiguity, Danville is situated in one of the three (anomalous) states that comprise the "Tri-State Area". He's a platypus. They don't do much talking. Is Dr. Doofenshmirtz really evil? While you could argue that some of his plots are evil and that he isn't the nicest of people, he tends not to be evil in the traditional sense, but rather overly dramatic, eccentric and generally clueless. 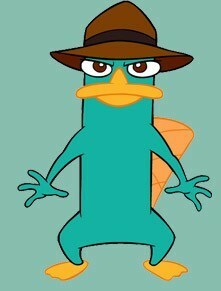 Why does Doofenshmirtz hate Perry? He claims that Perry is his nemesis, but Perry and the evil doctor have a bit of a love-hate relationship. Doofenshmirtz has been visibly upset when Perry has not shown up to defeat him. Perry, on the other hand, was heartbroken when he was replaced by Peter the Panda. It could also be theorized that Perry's and Doofenshmirtz's rivalry could just be "work related" in essence, as a few episodes have shown them facing each other, when Perry is not on a mission, and no battles take place. When does the Phineas & Ferb Christmas episode fit in? "Phineas and Ferb Christmas Vacation" is set in the winter after the summer we see in the regular episodes. There is also some character growth in Phineas when he says during the theme song that "not everything can be fun."